CWB Chicago: Lakeview Man Struck In The Head, Robbed Of $1,500: "The scurry of feet and yelling 'give us your sh*t!'" Lakeview Man Struck In The Head, Robbed Of $1,500: "The scurry of feet and yelling 'give us your sh*t!'" 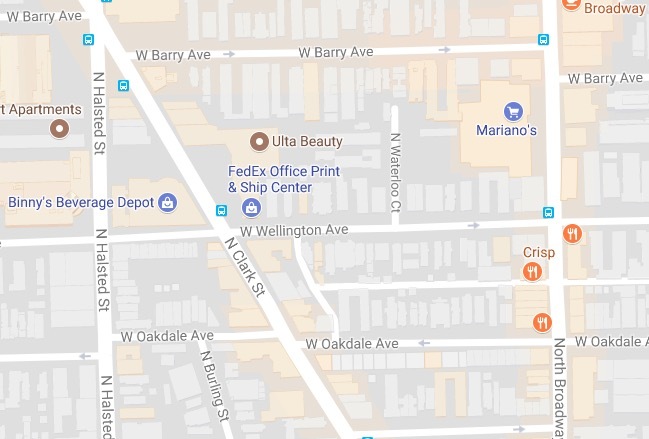 A 36-year-old Lakeview man told police that he was struck in the head and robbed in the 600 block of West Wellington around 7:45 p.m. on Monday. The victim called police around 9 a.m. yesterday to report the crime, police said. “I was…walking home, minding my business texting on my phone but still as I always am trying to stay aware,” the victim wrote on Facebook yesterday. The offenders were three black male teenagers, the victim said. “I’m guessing on age, but they were young…One was about 6-feet tall and wearing a gray sweatshirt with yellow stripe and black jeans. The other two were about the same height: one wearing blue jeans and black hoodie with red and black hi-tops and the other wearing black or dark blue pants with a black t-shirt with print on the front, he also had braids in his hair.” The final suspect was carrying a backpack. 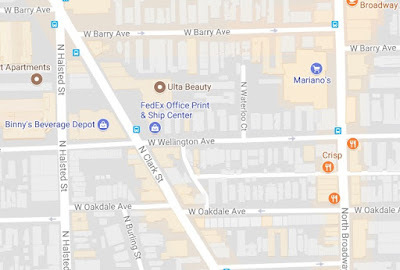 An Uptown woman was reportedly struck in the head, thrown to the ground, and robbed near Clarendon Park on Sunday evening. The attack happened at 4501 North Clarendon around 6:30 p.m., but police were unable to offer suspect description. A Boystown man awoke Monday to find an unknown person running out of his apartment with a backpack full of his property. The victim told police that the offender took his PlayStation, wallet, and miscellaneous valuables from his coach house apartment in the 800 block of West Roscoe around 9:30 a.m. The offender is described as a black man between 19- and 21-years-old, 6-feet tall, who was wearing a red short sleeve shirt and beige shorts.